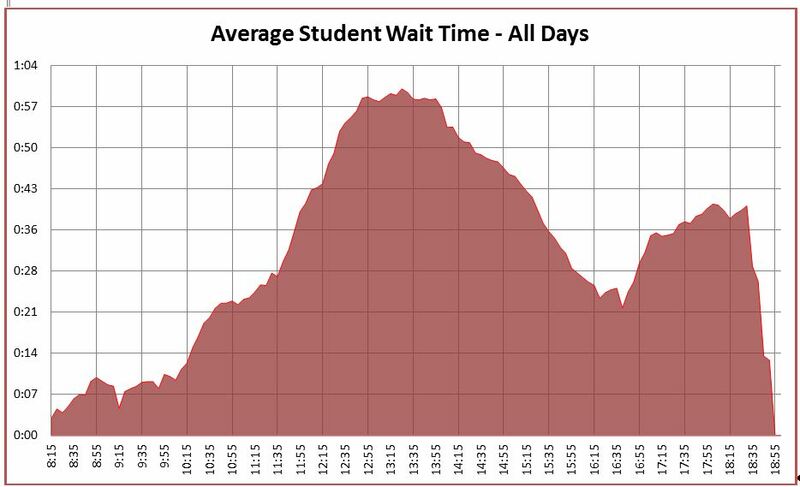 When I started advising at the Downtown campus of Pima Community College, I noticed there was a continuing debate about student wait times at the campus. At certain times of the year more than 40 students were lined up to see an advisor and they frequently had to wait more than an hour. What I also noticed was that there was little real evidence available to be examined — but everyone had an opinion! So, being an analytical type, I realized I could take the student paper signin sheets, enter the data into an MS-Excel spreadsheet (tedious! 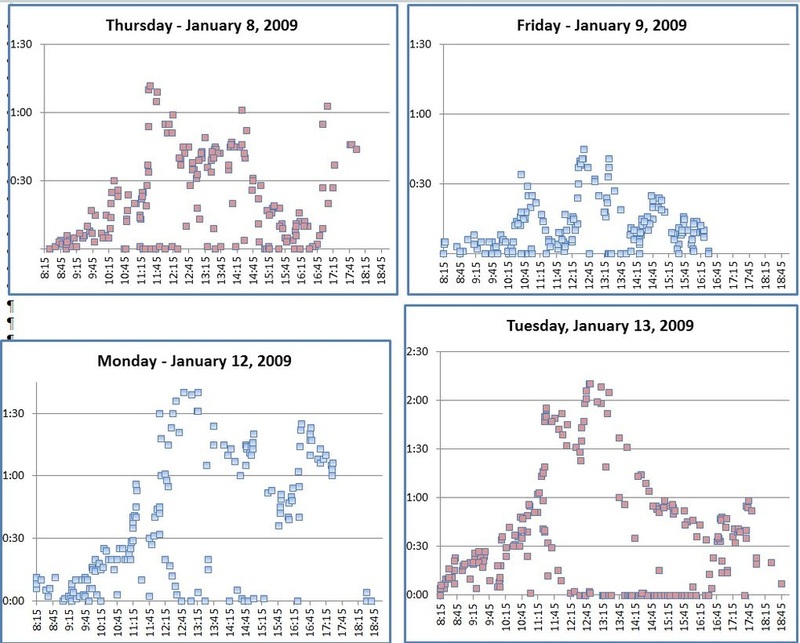 ), and create some formulas to generate data that could be analyzed and discussed without resorting to opinion. So I did just that! when new-student orientation sessions are scheduled. the number of advisors and counselors who are seeing walk-ins during those five minutes. The data showed 43.6% of all students were seen in under 15 minutes, 61% were seen in under 30 minutes, and 90.5% of all students were seen in under an hour. This was an interesting project that I enjoyed working on. Nobody assigned it to me, told me how to do it, and nobody told me which methodology to use. I did it because I respect evidence-based decision making and I thought this data would improve the quality of the debate that was occurring. As you can see, students came to the advising center throughout the day. And to the left you can see a scattergraph of data. 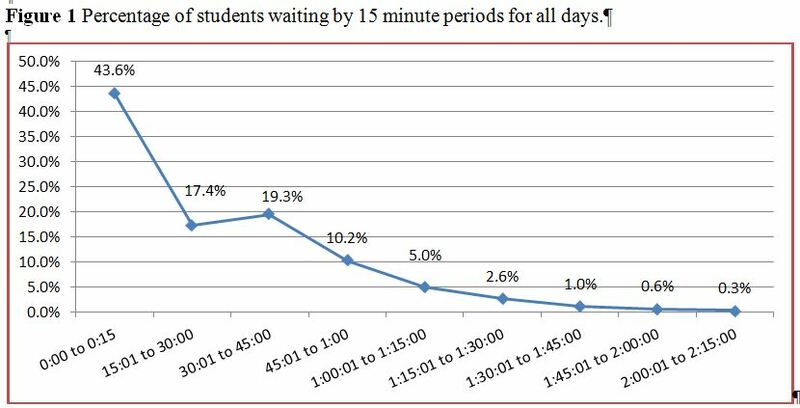 Notice that on Tuesday eight students had to wait more than two hours to see an advisor. To the left is a graph of the data on Tuesday. Notice that groups of students started coming in around 10:30 and soon overwhelmed the advising and counseling staff. 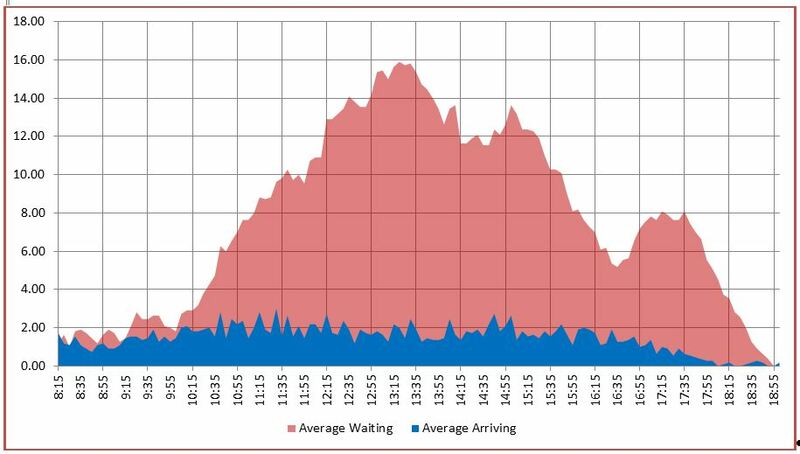 When the number of advising staff shrunk from 7 to 3 people at 1:30, the number of students waiting grew, as did the amount of time it they had to wait. 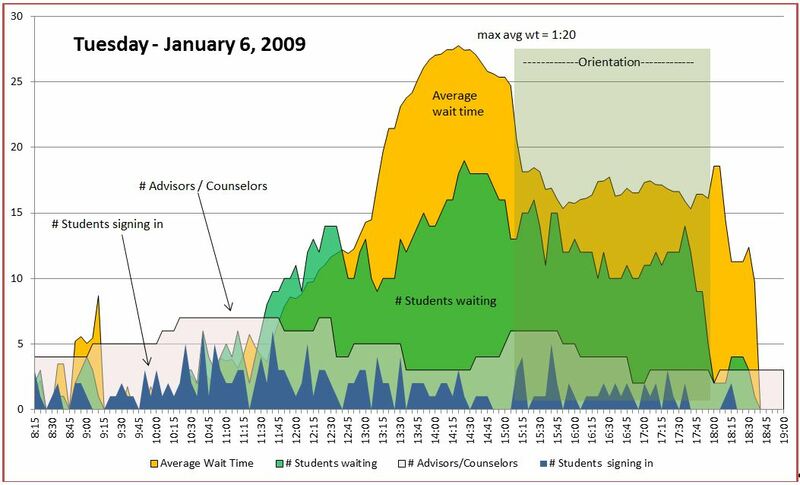 There was a debate if orientations caused longer wait times, but the data clearly shows that the number of advising staff available to meet with students is the major factor in how many students are waiting and how long they have to wait. 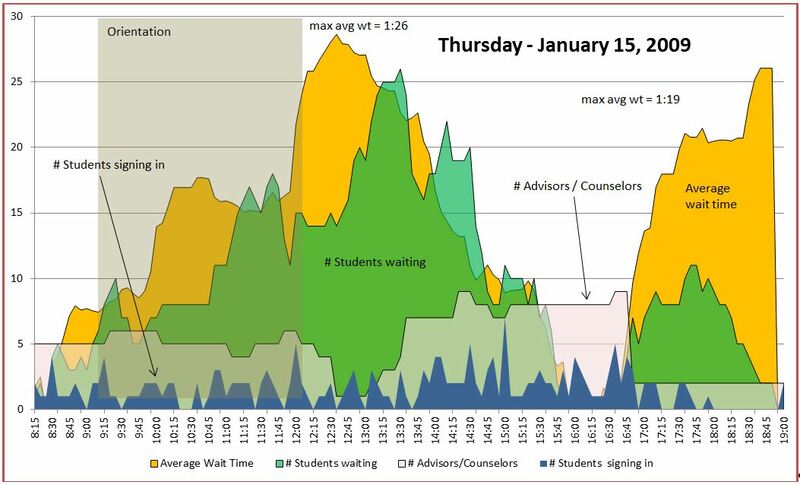 Note that in the Thursday data graph that the number of advisors and counselors available to meet with students dropped to 1 person (which was me!) from 12:30 to 1pm. This caused a spike in the number of students waiting and how long they had to wait.